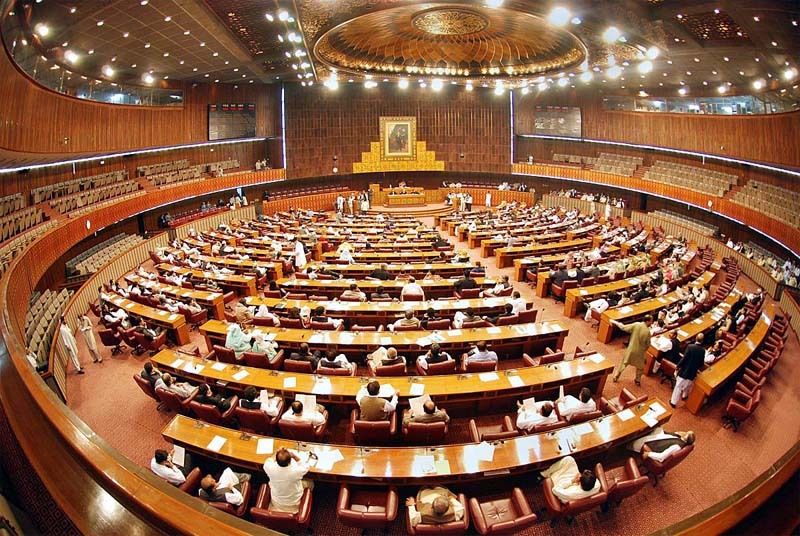 The National Assembly was informed on Wednesday that the government is focusing to regulate religious seminaries in the country under the National Action Plan (NAP). Minister of State for Interior Muhammad Balighur Rehman told the House during question hour that the mapping of the madrassas is in progress in cooperation with the provinces. He said that over 31,823 madrassas are operating in Pakistan. He said that there is a long-term plan to improve the syllabus of the religious seminaries. He said that action is being taken against hate speech and hate material. He said that madrassas are cooperating to remove hate material from their syllabus. Responding to a question, Parliamentary Secretary for Finance Rana Muhammad Afzal Khan dismissed as baseless the Bloomberg report that Pakistan had to return $50 billion in foreign and domestic loans this year. He said that according to the schedule, Pakistan has to repay $3-3.5 billion during the current year and $4 billion during the next year. He said the increase in total foreign and domestic public debt from January 1, 2014 to November 30, 2015 was Rs 2.871 trillion. He said that the government’s effort was to meet the revenue targets set in the budget. Answering a question, Parliamentary Secretary for Planning and Development Saqlain Shah Bukhari told the House that under the Prime Minister’s Internship Programme, 50,000 young people will be provided internships every year. He said that hundreds of thousands of job opportunities would be created under the China-Pakistan Economic Corridor.